The flight from Paris operated by Air France has started landing. Friendly flight attendants with a smile wish passengers a pleasant stay in Bordeaux, the capital of wine… I make my way through the airport building with impatience and enter the sector with luggage belts. 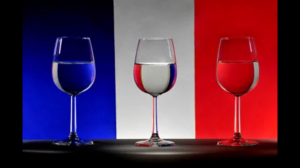 I pick up my suitcase … Huge bottles of wine and advertising billboards on the walls scattered around the airport clearly indicate that we have landed in the middle of the wine region. The excitement continues to grow. A wine blogger and journalist from Serbia has arrived in Bordeaux to receive Millesima Blog Award 2016 (award for the best wine blog in 2016). I get outside the airport building. 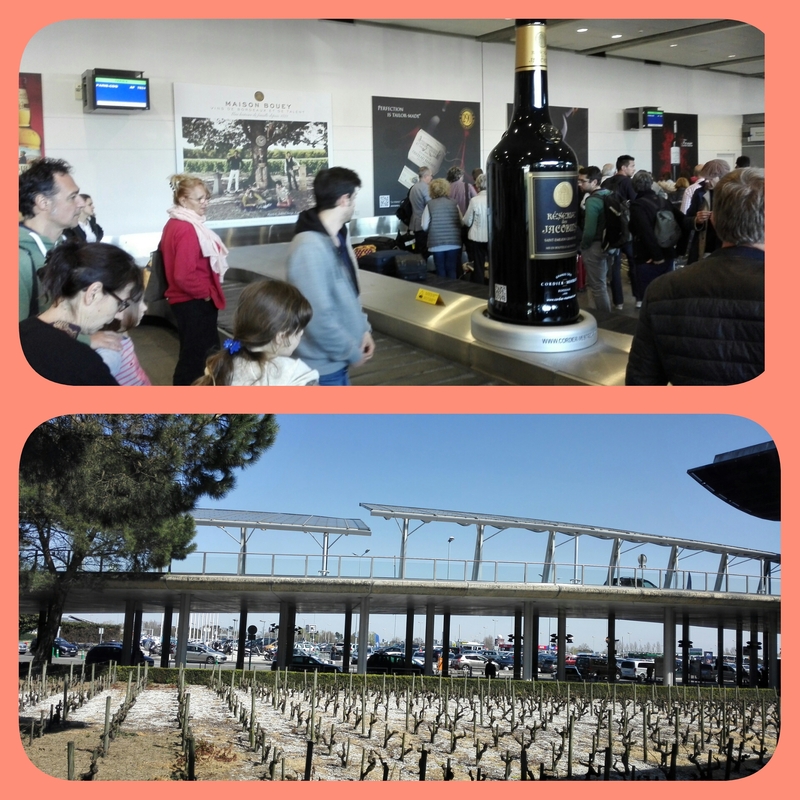 The sun welcomes me … and a vineyard at the airport. Heh, I’ve toured numerous world’s airports but this is the first time I saw vineyards planted around the airport building. A driver in a perfect suit and tie, carrying a sign BERNARD MAGREZ was waiting for me outside the airport building. Soon we were joined by the other blog award winners. 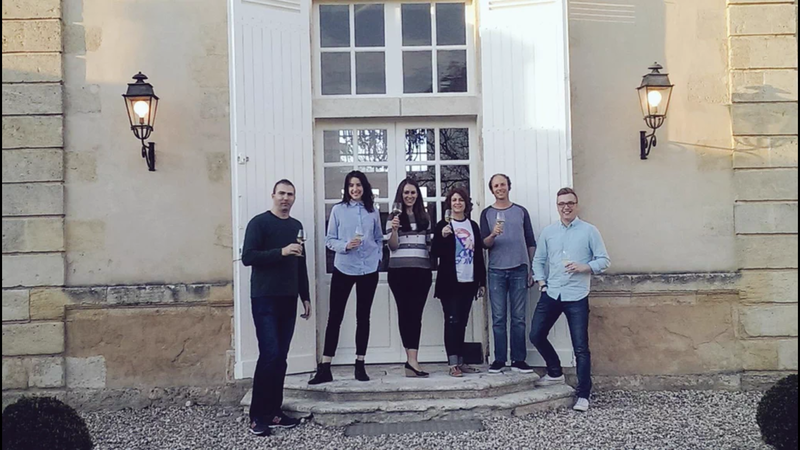 Serbia, the United Kingdom, USA starting together a wine adventure in Bordeaux. The driver resembling James Bond took us out of the city, in the direction of the Right bank. Passing by road signs, all the lessons about Bordeaux wine region eg. the Left bank, the Right bank, etc came to life. Wine labels with names of appellations suddenly spring to life. I try to remember geographic pattern of Bordeaux region .. Now everything seems at arm’s length, just a dozen kilometers away. After 45 minutes of driving, we pass through the magnificent gate into a spacious park. 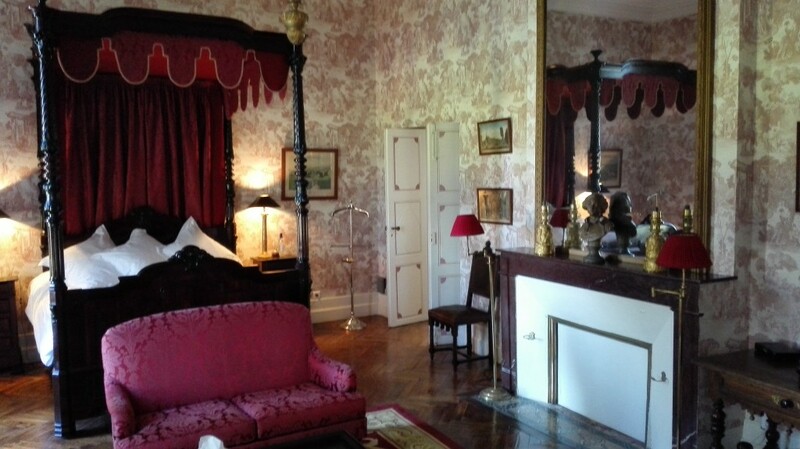 Our home for the coming week will be a chateau. Our fairy tale in Bordeaux can begin. 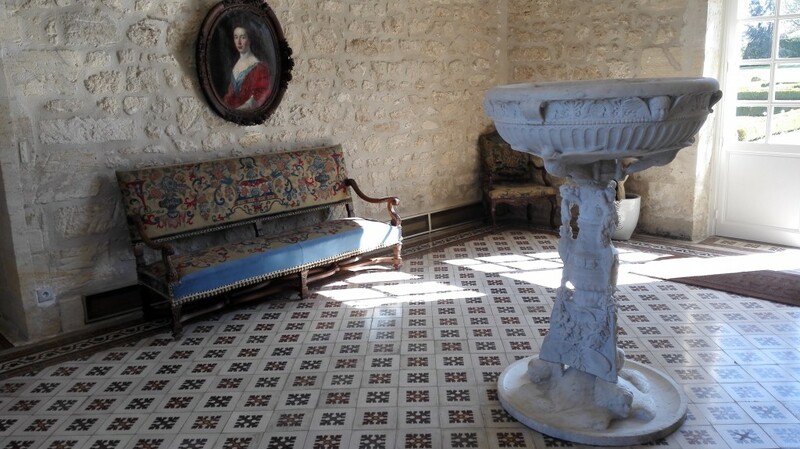 Chateau Fombrauge is located on the Right bank, in the vicinity of Saint Emilion. 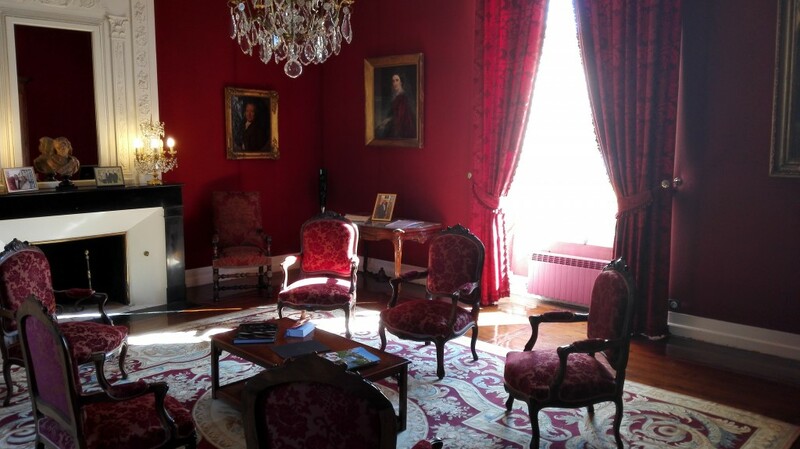 The chateau got its name after one of the former owners: Dumas de Fombrauge used to be a minister in the French government in the 18th century. Bernard Magrez purchased the chateau in 1999. Then the consultant Michelle Roland entered the stage to create wines from Chateau Fombrauge. Vineyards cover 60 hectares and Merlot constitutes 90% of total plantings, whilst the remaining portion is planted with Cabernet Franc and Malbec. Immediately upon arrival, we were welcomed to the new home by Chantal. She has been taking care of the chateau for 12 years already and she led us to our rooms. A welcome note handwritten by Bernard Magrez in the room proved that nothing is left to chance. 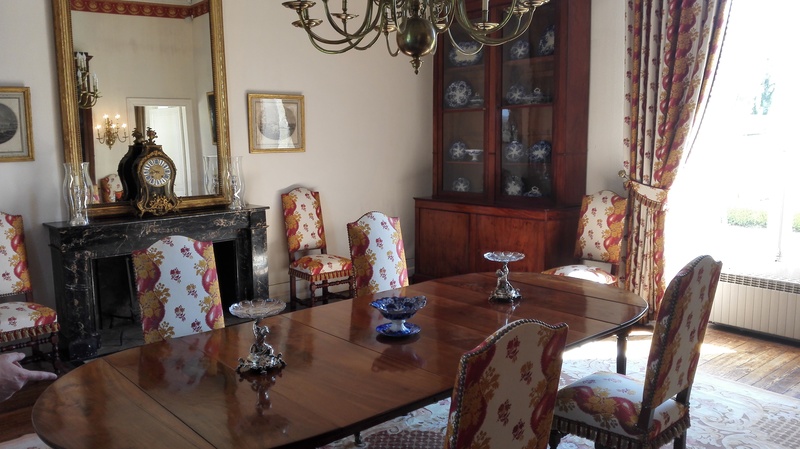 A glance from the window onto endless vineyards and the interior of the castle brought history alive. 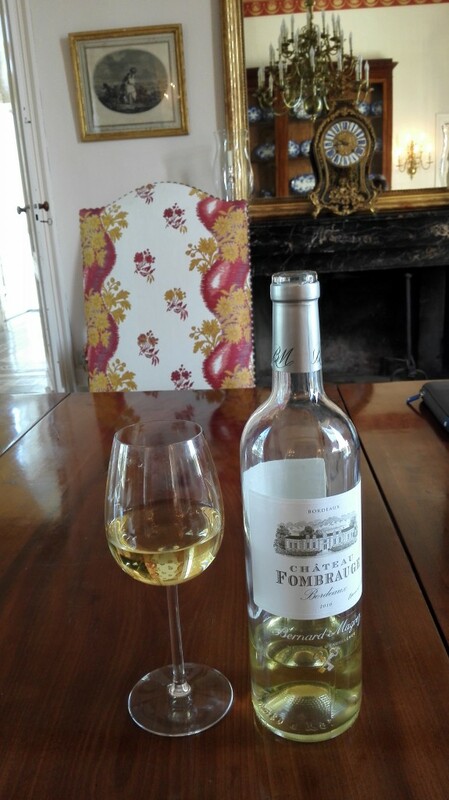 A glass of Chateau Fombrauge Blanc 2010 was an opportunity to get to know each other. While sipping perfectly chilled wine (varietal composition: 40% Semillon, 30% Sauvignon Blanc, 30% Sauvignon Gris), Chantal was telling us with a smile that starting from 2011, this wine hasn’t been produced any longer. Therefore, we had an opportunity to delve into golden reserves of this white blend at Chateau Fombrauge. On the nose, the wine is still teeming with freshness complemented by notes of citrus and herbal notes that clearly indicate the presence of Sauvignon Blanc in the blend. A pleasant surprise followed when I realized the complexity and creamy structure of the wine, accompanied with opulent fruity notes of apricot and peach. Well-defined and long finish. Just the right wine to refresh us after a long journey and prepare for an intense week ahead. What is Millesima? 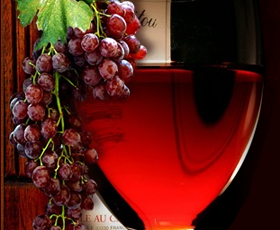 – Millesima has been one of Europe’s leaders in en primeur and fine wine retail since 1983. 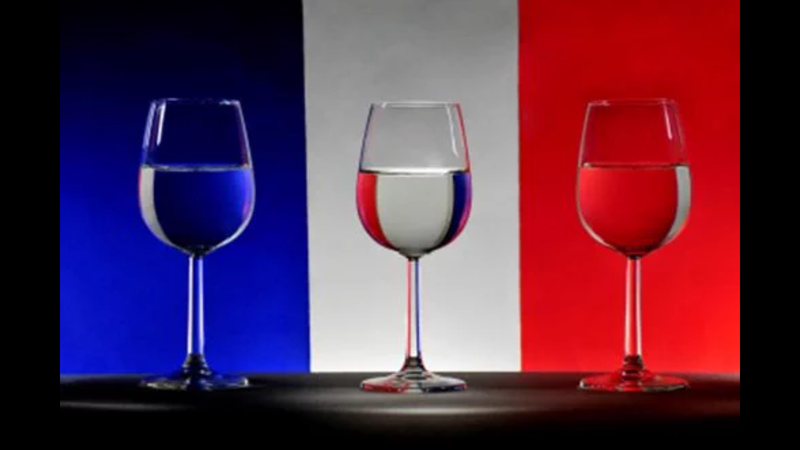 Their Bordeaux cellar houses more than 2,500,000 bottles from the best vintages and producers from Bordeaux, Burgundy, Rhone Valley, Alsace, Champagne … Over the last 20 years, Millesima has delivered wine to more than 70,000 customers worldwide.